Handsomely bound in red leather, MS Typ 411 is one of thousands of rare editions, manuscripts, and documents in the Houghton Library’s Printing and Graphic Arts section at Harvard University. Resembling an old fashioned family Bible at 10 × 8 inches and some 300 pages, when opened this book reveals no text but a series of fine pen-and-ink drawings, 1,220 illustrations of ancient coins. These are the records of a coin collection owned by Andrea Loredan, a Venetian patrician well known in the 1550s and ‘60s as a passionate connoisseur of antiquities. Silver tetradrachms of Athens and Alexander the Great, aurei of Philip and Augustus, denarii of Caesar and his assassins, large Imperial sestertii of Nero and Hadrian, the numismatic images were intended to delight the eye, stir the curiosity, and enflame the acquisitive instincts of prospective buyers, at a time when the cash-strapped patrician was seeking to liquidate the ancient treasures of his private museum. The volume was, in essence, a sales catalogue, a species of book not often sought out and admired for artistic or literary merit. Yet Loredan and his unknown draftsman, unaware of how they were benefiting future scholars, produced a graphic masterpiece of elegance and charm, a document of the highest importance for the study of Renaissance antiquarianism, humanism, and archaeology. The author first encountered MS Typ 411 while working on his survey of Renaissance numismatic literature, Images of the Illustrious: the manuscript is mentioned in a footnote by Ruth Mortimer in one of her catalogues of 16th century printed books at the Harvard Library. The drawings at that time were attributed to the Mantuan goldsmith and antiquary Jacopo Strada (ca. 1515–1588), one of the numismatic authors in whose career Cunnally was interested, and a prolific producer of albums depicting ancient coins. Cunnally’s initial reaction on first examining MS Typ 411 in person was to doubt not only the attribution to Strada, but the 16th century date itself. Surely these careful drawings, so attentive to nuances of inscription and detail such as mint-marks and magistrates’ initials, were the product of a much later, more sophisticated period of numismatic research, no earlier than the time of Eckhel and Mionnet in the late 18th or early 19th century. Particularly modern was the draftsman’s practice of varying the size of the coin drawings to replicate the actual dimensions of the pieces, which vary from tiny fractional silver to large bronze medallions. The usual routine in 16th century numismatic books was to show the coins as uniform in size, sometimes accompanied by a Greek letter keyed to a scale of concentric or nested circles printed at the front or back of the book. But the physical evidence of the watermarks and binding, as well as contemporary documents reporting the contents of Loredan’s collection and his creation of an album of drawings to help him sell it, quickly dispelled any skepticism, and we can safely assign the origin of the manuscript to Venice, and its date to around 1560. With this date and locale established, the significance of MS Typ 411 for students of Renaissance antiquarianism cannot be overstated. While written descriptions and even partial catalogues of some Renaissance coin collections have come down to us—for example, the Greek and Roman silver of Cardinal Pietro Barbo, the future Pope Paul II, inventoried in 1457, and the 800 gold coins owned by Duke Ercole II of Ferrara, recorded by his courtier Celio Calcagnini around 1540—the Houghton manuscript is unique in offering an album of pictures of a complete Renaissance collection. And whereas the written catalogues are often informative enough to allow us to identify the type of coin described in the text, in the Loredan manuscript the abundance of detail permits a modern numismatist to pinpoint an item more precisely to a particular issue, and sometimes to a particular die, based on subsidiary symbols and variations of the portrait that are overlooked in written descriptions. In a few cases, such as that of Loredan’s tetradrachm of the First Region of Macedon bearing monograms of two magistrates, or a bronze of Bostra showing the head of Elagabalus, the unique markings or surviving letters displayed in the drawing can be matched with a high degree of probability to only a single coin existing in a modern collection. The importance of this information for numismatists interested in the provenance of the objects they study, and intrigued by evidence of rare coins known to earlier collectors but no longer extant, is obvious. For art historians such as Cunnally who specialize in tracing the survival and revival of antiquity during the Renaissance, continually asking the “Watergate” questions—what did they know and when did they know it?—the Loredan manuscript is a precious witness to the abundance and variety of ancient numismatic material available to the artists, as well as their patrons and public, during that period. Art historians searching for the antique sources available to Titian, Palladio, Sansovino, and other Venetian masters of the Cinquecento should find the drawings of MS Typ 411 particularly interesting. John Cunnally is an associate professor of Art and Visual Culture specializing in Renaissance art history at Iowa State University. This volume is a profusely illustrated catalogue of an exhibition jointly sponsored by the Frick Collection and the National Gallery of Art and displayed in New York and Washington, D.C., in 1994. 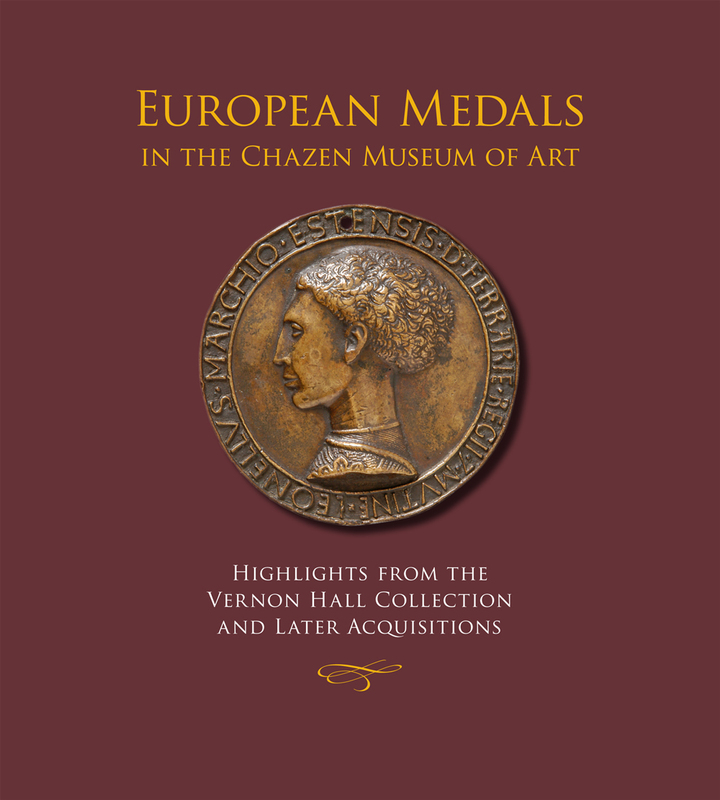 This grouping of medals represents the museum’s Renaissance, Baroque, and nineteenth-century highlights and illustrates the history of the art of the commemorative medal. 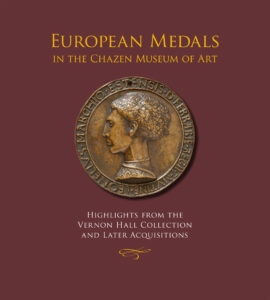 This catalogue incorporates the scholarship of nine international medallic experts. Their erudition, consummate research skills, and effective prose are evident in sixty-one essays on some of the masterpieces of this art form written for the education and enjoyment of students, specialists, and the general public alike.